William Joseph is one of the most electrifying pianists, composers and producers of our time. His rare virtuosity and passion left music icon David Foster mesmerized when he first heard him play. That chance encounter with Foster in Arizona sent Joseph’s career skyrocketing. Foster’s interest and professional collaboration with Joseph also ushered in special opportunities to share the stage with world-class artists John Mayer, Beyoncé, John Legend, Michael Bublé, Steven Tyler, Alicia Keys, CeeLo Green, Carly Rae Jepsen, Andrea Bocelli, Mel Gibson, Sarah McLachlan, Tim McGraw, Faith Hill, Blake Shelton, Ray Romano, Brian McKnight, Seal, Robin Williams, Natalie Cole, and Barbra Streisand. Foster co-produced Joseph’s first two albums Within and Beyond on Warner Bros. Records. He then embarked on several concert arena tours with well-known stars, including Josh Groban, Il Divo, and UK superstar ‎Katherine Jenkins. Some of these performances include iconic venues such as the Royal Albert Hall in London, the Red Rocks Amphitheater, and many more. He has since been in high demand as he has dazzled audiences around the world. 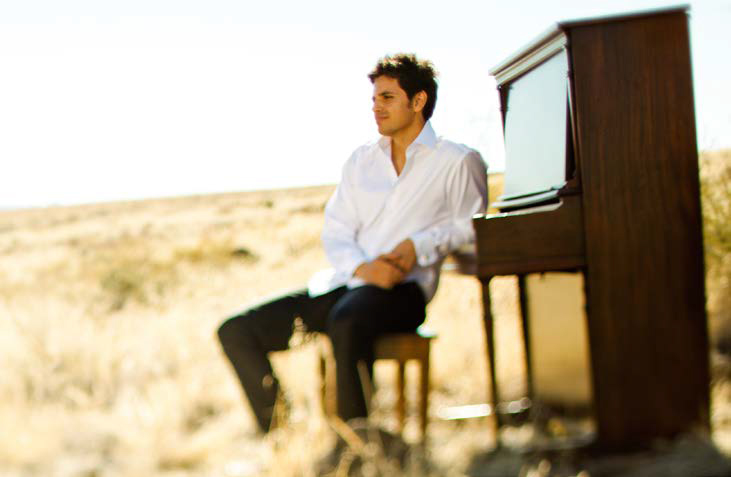 As a child prodigy, Joseph began writing music for solo piano at the age of five. Soon, his remarkable, early talent was recognized throughout Phoenix, Arizona where he grew up. After earning a prestigious national music scholarship through the Boys & Girls Club of America, he began studying with Russian master pianist Stella Saperstein, of the famed Leningrad Conservatory in Russia. Under Saperstein, his love for Russian composers such as Rachmaninoff was born. What sets Joseph apart is his profound ability to create, then captivate and inspire people through his heartfelt arrangements and original musical masterpieces. His soaring original melodies and transformational covers, combine the best elements of several genres – pop and rock with a cinematic and classical flare – this combined with show-stopping precision and emotion. Joseph’s epic melodies and sensational arrangements have been featured in many high-profile events reaching mass audiences around the world, including the Olympics, Major League Baseball, Miss America Pageants, as well as a featured appearance and performance on a National Advertising Campaign for Mitsubishi Motors America. He captivated audiences with his patriotic Anthem titled “O, America” that was also welcomed several times by PBS. He co-wrote his breathtaking song with lyricist Brendan Graham, most famous for writing “You Raise Me Up,” and was debuted by the Celtic Woman as their lead single and has since been performed by many artists including Actress/American Idol super star Katharine McPhee. In his third album, Be Still, some of the most sacred hymns and beloved songs performed for centuries throughout the world in chapels, cathedrals, and concert halls are reborn. His intimate arrangements will pierce listeners to their core. Be Still is essentially solo piano with a few arrangements debuting violin and cello. 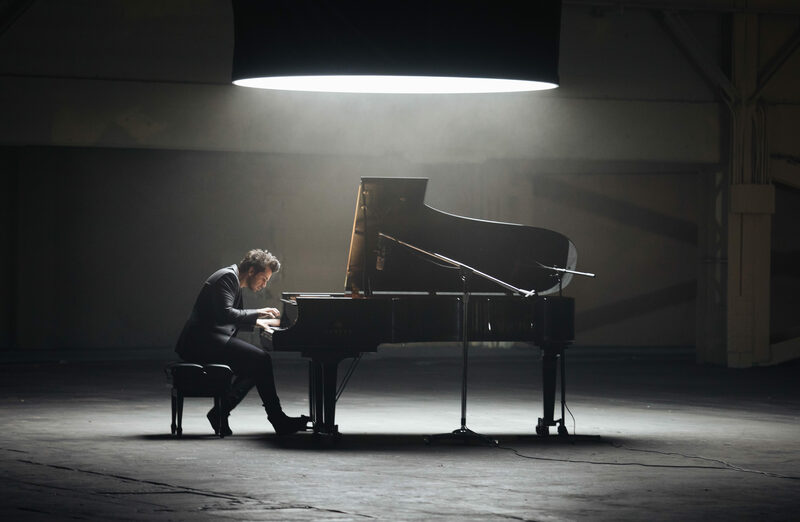 Following the release of Be Still, Joseph began making his mark on the world of YouTube, consisting of collaborations with violinist sensation Lindsey Stirling, garnering millions upon millions of views; in addition to viral videos where he made a piano float on water for “Radioactive” with in demand YouTube filmmaker/cinematographer Devin Graham “Supertramp,” or rain on him live in his epic solo of Metallica’s “Nothing Else Matters,” he has published many other sensational performances including collaborations with cellist Tina Guo and violinist Caroline Campbell. WJ has an incredible ability to create, manage, and produce live entertainment. Joseph is known for combining his music with dramatic theatrics and over the top visuals. He has a reputation for kicking-off events with explosive entrances, including dropping down from the ceiling James Bond style, entering on a flying stage, or rising from below the stage surrounded by pyrotechnics. Recently, Joseph was brought in to create a thrilling opening moment to kick-off a huge corporate event held at the sold-out MGM arena in Las Vegas, Nevada. William stunned the audience with a jaw dropping entrance of 100 drummers playing with glow in the dark drum sticks with captivating choreography, combined with a dancing horn section on stage, looking like a super bowl half time show. These events have been nothing short of magical. His ability to astound audiences large and small has continued to flourish. Over the years, William has been honing his skills not only as a performer, but as a producer, and is often brought in to create and produce large shows, including multi artist productions. This collaboration with other artists works perfectly because with William on the stage at the piano, along with his world-class band, he can showcase and introduce each artist while remaining on stage while still playing the role of music director. Lending itself to a variety show format. William has been hired to produce and perform for major corporations, some of which include Target, Cirque du Soleil, MGM, Nu Skin, Kay Jewelers, Shamrock Foods, Kendall Jackson, NetJets, Plexus International, USANA, and KPMG. In addition to the large scale shows, William is in high demand to perform at intimate private house parties for celebrities including the lovely Jane Seymour, Arnold Schwarzenegger, Maria Shriver, Olivia Newton-John, and Eva Longoria to name a few. William is a Yamaha Artist and is currently being featured on a National campaign with his Yamaha Piano in a Mitsubishi Car Commercial. He is in the studio composing new music and preparing to film upcoming music videos, which will lead to the release of his new album.